I started training in martial arts in 1983 when I was 16 years old with Chris Linsted; I trained with him for 2 years before going to Sifu Chris Ellerker, Chief Instructor of the Chang Chuen Shu Kung Fu style. 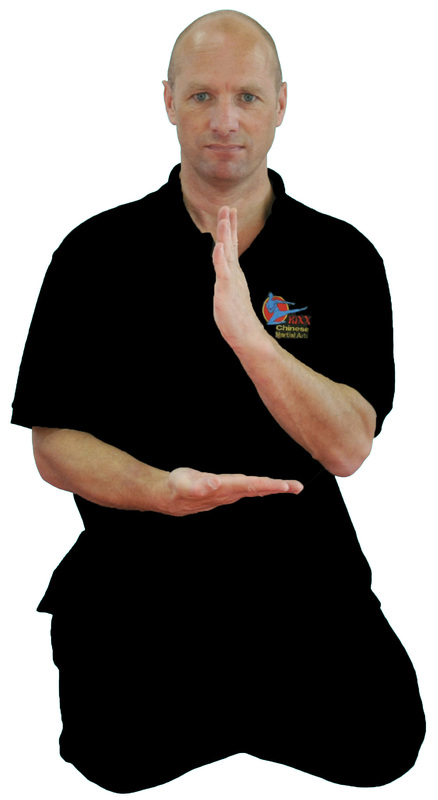 Sifu Chris Ellerker helped me to reach my Black belt in 1988 and to become a member of the British Wu Shu Team competing in the Tai Chi category in the 1990 Wu Shu World Championships held in Kuala Lumpur, Malaysia. Whilst in the British Team my team members and I had a great time competing and demonstrating all over the UK, including on a stage in Leicester square London for the Chinese New Year Festivals. Since then I have competed in many national and international competitions in Tai Chi and traditional hand forms. Since then it has taken much hard work and many years to reach my 4th Dan Black Sash (Northern Shaolin Chang Chuen Shu) in 2010. My time training in the Martial arts has helped me in many ways , but most notably it has given me some lifelong friends who have helped and supported me for many years, for that I am eternally grateful . This one is easy, just to learn more.